Afghanistan and Ireland are set to collide again in India for the five-match ODI series. After thrashing the Irish team in T20I series 3-0, Afghanistan must be beaming with confidence heading into this ODI series. Ireland had a rough start in the previous series and couldn’t make the most out of their opportunities in the contest. 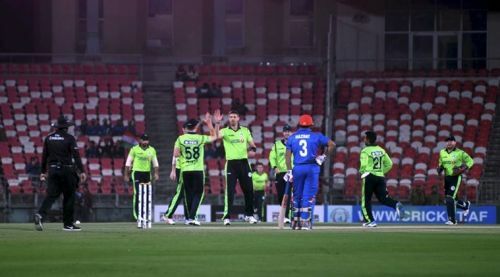 Afghanistan has been playing some phenomenal cricket in recent times with a pool of talented players. They outplayed the opposition in all the three departments in the T20I series. Afghanistan’s bowling has been their strength over the years, but in the T20 series, their batting came into the limelight. Afghanistan would be looking to perform with such dominance to prepare themselves for the upcoming ICC World Cup. Ireland, on the other hand, have had a terrible tour so far in India. After losing all the three T20I matches, they would be hoping to bounce back in the ODI series, for which they need to improve their bowling attack.